The Lincoln Wheat Penny and Buffalo Nickels together. These can be made with heads or tails (see options). These coins jewelry earrings can be made from your coins for $18. 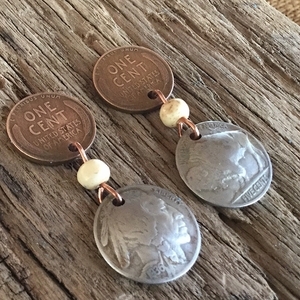 These handcrafted coin jewelry earrings are made in the USA.